Much has been made about the title of Zero, with derogatory suggestions that, that is the number of stars it deserves when it comes to rating the film. We humbly beg to differ. In the opening scene of Zero, ‘Ashok’ played convincingly by Tigmanshu Dhulia is the rowdy from the seventies complete with a leather belt and menacing jaunt. It is the only point in the film when SRK stands up to his full height. 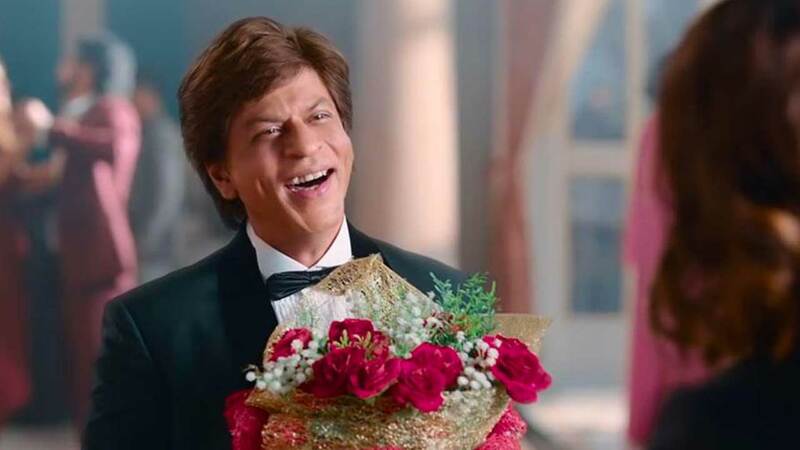 Post modernism steps out in style when SRK blurts out some complicated tongue -twister in faux French which also includes the name of famed stylistic French director, Luc Besson. Himanshu Sharma’s earthy roots shine through with such gems, which have been missed by our esteemed critics. With that opening post modern mish- mash the pace of the movie is set for a ride around the globe and beyond. Bauua Singh is four feet and two inches and can raise dust that is sky high. His world is filled with crazy bets, frolicsome rides on cycle rickshaws and repartees that would put India’s most tongue in cheek stand ups to shame. Bauua is a busy body and constantly on the move on his two little feet, buoyed by his faithful buddy, Guddu played faultlessly by the starkly honest performer Zeeshan Ayyub. Their bromance is bordering on buffoonery and bone crunching scooter rides in the dead of the night, but this is a friendship that is beautiful and celebratory. Bauua’s parents Tigmanshu Dhulia is the small town businessman who lives frugally, even as Bauua spends in lakhs to satisfy his whims and fancies. We only know him by his first name, Ashok. Bauua shares a beautiful bond with his mother, the graceful Sheeba Chaddha who still thinks that her thirty eight year old son is a child of his height. But this is a loving family, the hallmark of Aanand L Rai’s cinema. Bauua’s world rises into space age love after he encounters the extremely accomplished Aafiya Bhinder, an astrophysicist. Aafiya’s ethnicity is another beautiful boundary that Rai and Sharma manage to navigate with ease. She is part Afghani and part Sikh. It is a comment on post-industrial India where merit matters most, special ability and ethnicity apart. This in itself deserves a cheer in times of great divisiveness. Bauua and Aafiya’s love story is a breath of fresh air, his advances filled with such loud escapades that they leave Aafiya with no option but to laugh out loud in joy. An accomplished woman finally finding her heart fluttering for a man who gives it to her without any sugar coating. Bauua’s childishness rides over his child like fun side when he leaves Aafiya in a lurch for a rendezvous with Babita Kumari, his celluloid dream for over fifteen years. Bauua loses his mojo right before meeting her, in the presence of some of Bollywood’s greatest divas. You have to experience this scene to know what it entails. It shall give you goose-bumps, we promise. Babita and Bauua are raw together. He has seen her at her worst, drunk, mascara trailing, spilling her guts out into the toilet. In him, she finds a mirror that allows her to be, pockmarks, stretchmarks, everything exposed. When they leave each other, they are both a little more wiser, way more deeper and happier. Zero travels through many worlds and perhaps gets bumpy at points, but which great journey does not have its snags. Fasten your seatbelts for a ride, that needs you to invest, to smile and to believe that everything is possible when it comes to love. Previous articleYo Yo Honey Singh’s Makhna Garners 19 Million Views In Less Than 24 Hours!